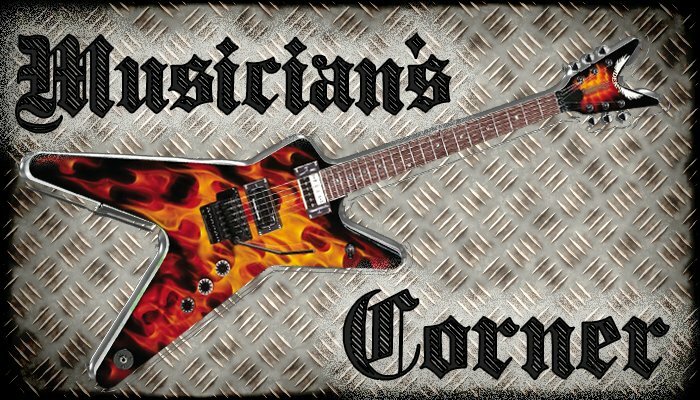 Welcome back to Musician’s Corner. Each week, we bring you information on apps and accessories that we think musicians and fans of music would love to know more about. Last week … well, last week we skipped Musician’s Corner because we were so busy reporting on the Worldwide Developer Conference. The week before that, however, we told you about Musyc, a visual music app that lets you play around with shapes to create random patterns of sound. 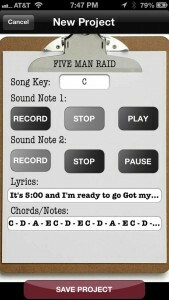 This week, we have found a great app for capturing and sharing song ideas with just a few simple steps. 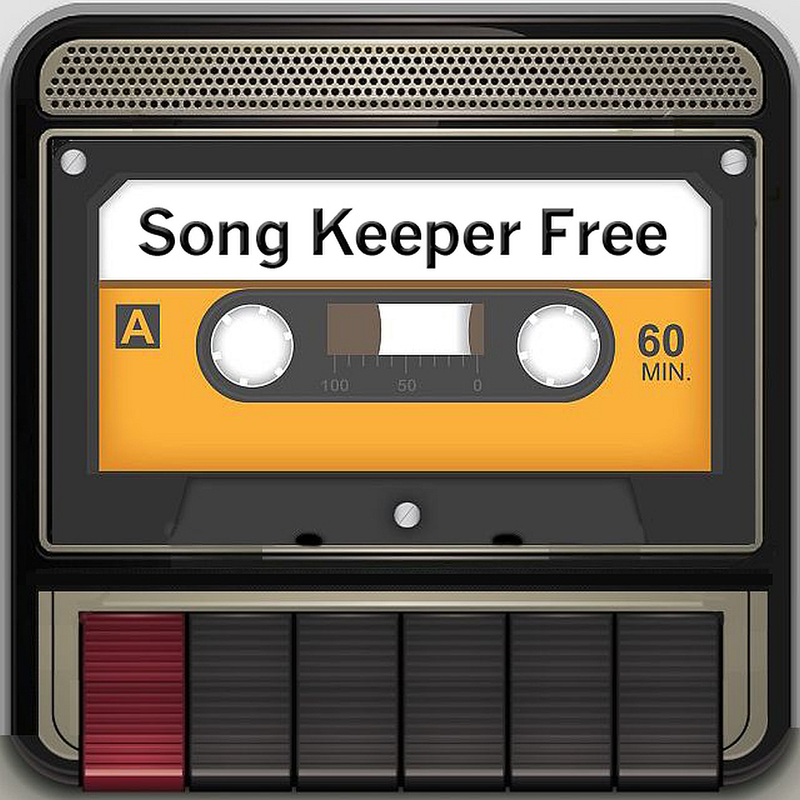 Song Keeper Free makes it easy for you to notate, record, and share your song ideas without worrying about setting up an eight-track recorder or even finding a piece of paper and pen. 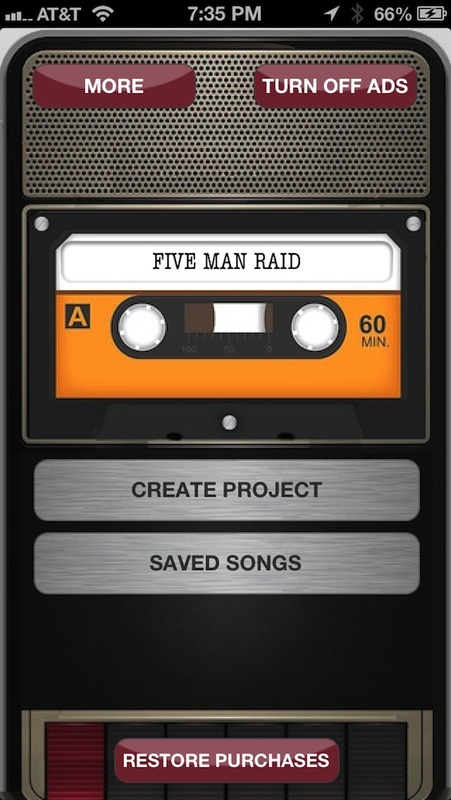 To get started, tap the image of the tape to change the name of your project. Then, tap the “Create Project” tab. If you’ve already got an idea of what you want your new song to sound like, start recording. 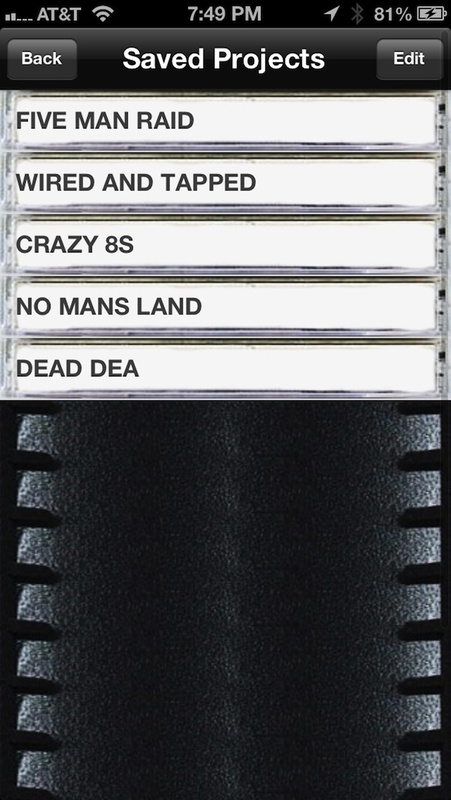 You can make two tracks for each project. It doesn’t matter what you record. You can have the guitar parts on one and drum parts on the other. You can record the leads on one and solos on the other. The tracks don’t combine, so you don’t have to worry about lining anything up. 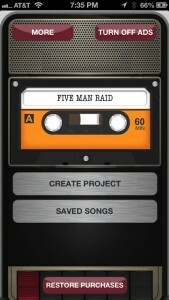 After you’ve captured a song, add a bit of information that will be useful to whomever you share it with. 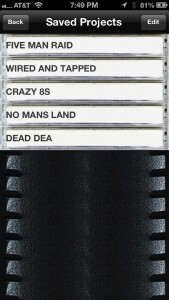 Add what key the song will be in. 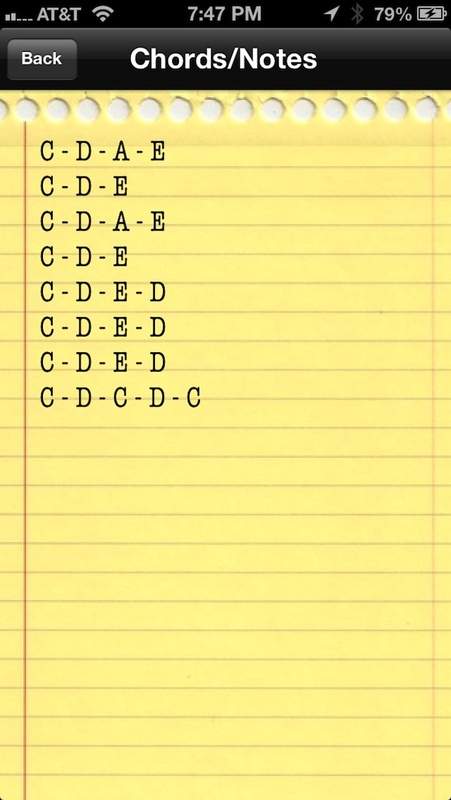 Type out any lyrics you already have. Include the song structure to the parts that you’ve recorded. Once you’ve completed capturing your idea, tap the save button and it will be ready to be shared. 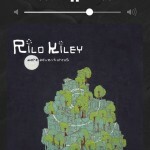 To send the notes and a .caf file of your recordings to others, tap the Share button at the top of the screen. The recipients will be able to read your notes and listen to the song clips that you have recorded. 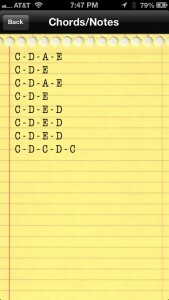 This is a great way to send your band mates song ideas before practice. It could shave off a lot of time that gets spent learning new songs. I know I’ll be sending my ideas to my band mates before we practice so that they can learn the basic structure of the song. We’ll be able to spend less time learning how to play, and more time tweaking and perfecting songs so they are ready for the public. 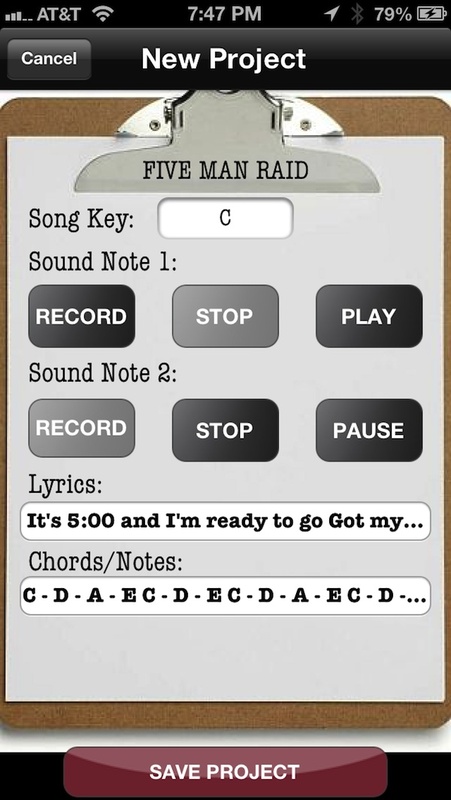 Song Keeper Free is available in the App Store. 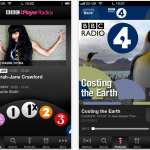 You can pay to have the advertisements removed, but they are not intrusive at all. The only time I ever saw an ad was when I opened the app. Thanks for stopping by Musician’s Corner. If you have any suggestions for apps or accessories you think we should feature, just drop me a line or leave a comment below. This week’s question: How do you capture your song ideas?